Last August during our 2014 pilgrimage, I asked Dr. Tom Barnes, a naturalist with the University of Kentucky’s Department of Forestry, to show our group some waterfalls and talk about the region. Near Wrigley, KY, at a waterfall that ran only a trickle during the current drought, Tom sat on a flat rock, holding walking stick in hand, and discussed climate change. The Appalachian region, he said, the most diverse deciduous hardwood forest in North America, was warming, and southern pines and soft woods were creeping in. The environmental changes made area waterfalls more seasonal, so drought-resistant trees were reforesting the surrounding hills. In that shaded cove where shoes should have been muddy, participants understood the context of the waterfall’s mere trickle. Each year I conduct a “Pilgrimage to the Holy Land of Appalachia”. And it’s not simply a tour. A pilgrimage usually entails a journey to a sacred shrine or sanctuary for a religious motive. Our pilgrimage, perhaps a more contemporary expression, travels through the garden of Appalachia as our sanctuary and encounters the culture of eastern Kentucky as our meditation. The experience affirms local folks by listening respectfully to their stories and hearing their struggles. Every day theological reflection in a group integrates the experiences with each participant’s faith life: “What did you hear?” “How does she retain hope?” “What biblical image comes to mind?” The theological dialogue ties together the sights and sounds, the feelings and faith, of all who participate. Further, the “Holy Land” sobriquet of the title recalls a pressing aspect of Appalachia. Extractive industries, like timber and coal, frequently abuse the land and despoil its beauty for the profits that flow outside the region. Since God gave the land as a gift for all, land reflects the holiness of the Giver. Land wherever people live or work, whether mountaintop or valley, exists as holy land. Over the years I designed special pilgrimages for seminarians, deacons, parishes, ecumenical faith groups, and the Catholic Press Association. Each pilgrimage of one to three days focused on specific topics, like health care, small farming, the environment, or ministry in the mountains. People join our pilgrimage for a variety of reasons. “I joined the pilgrimage because I have for years been curious about the healthcare delivery in eastern Kentucky,” wrote a nurse. 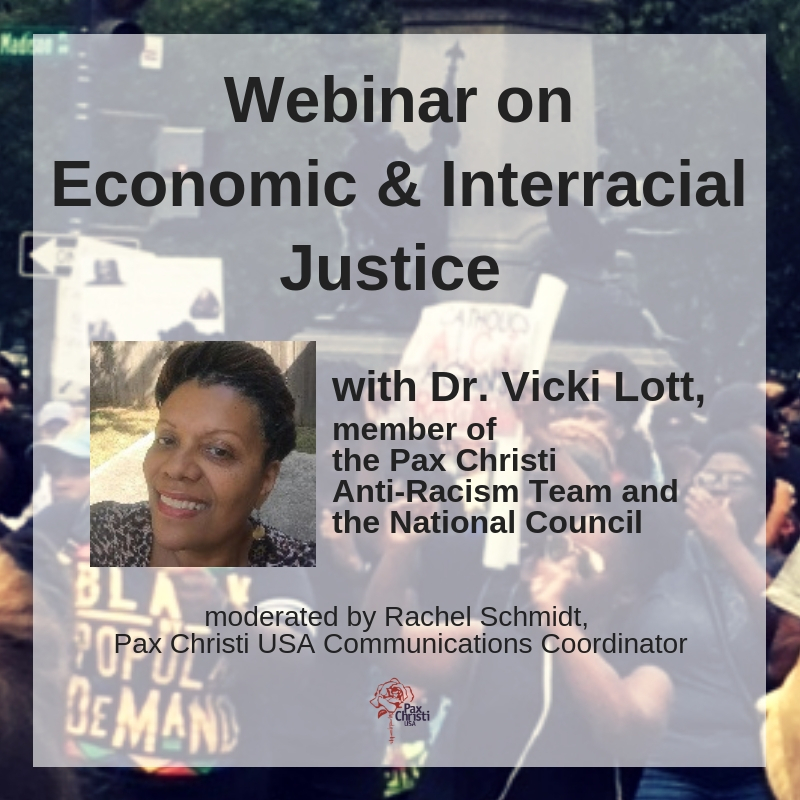 A man passionate about social justice wrote he was “interested in the role of the faith community working together in ecumenical partnership to effect social change.” Even a candidate running for the Kentucky legislature asked to join a pilgrimage because he needed to know more about Appalachia Kentucky. This year’s three-day pilgrimage offered participants a glimpse into three vital sectors of contemporary Appalachia: health care, economic development and the environment. When ten participants began this year’s pilgrimage, they started with lunch at my house in Stanton, KY. Pulled pork BBQ for omnivores, gazpacho for vegetarians. Stressing the importance of conversation for community building during travel, the orientation after lunch forbade radios and electronic devices as we rode. We took the back roads to our first stop: north on Rt. 213, right on Rt. 713, left on Rt. 965, another left on Rt. 36. After crossing the Bath County line, we watched for Amish horse and buggies ahead of us around blind curves trotting along at 7 m.p.h. while we were doing 35. Travel in the mountains can be challenging, and the participants vicariously experienced the difficulty residents face daily of getting to a doctor, going to work, or just driving anywhere. We arrived at New Hope Clinic in Owingsville, “A Free Clinic for the Uninsured,” as its brochure reads, that just celebrated its 14th anniversary. Deacon Bill Grimes, physician assistant and nurse practitioner, started the clinic with community partners when a middle-aged patient died of cancer because she delayed a doctor’s visit. “The woman died because she had no health insurance,” Deacon Bill regrets. Researchers with the Harvard Medical School found that 45,000 deaths a year are attributable to lack of health insurance. The uninsured seek health care less often and are less likely to receive vaccinations, cancer screenings, mammograms, colonoscopies and other preventive services. When Deacon Bill and his team scrambled to begin, the local bank offered an abandoned storefront next door rent-free with paid utilities! “That’s how a bank gives back to the community,” he told the pilgrimage. 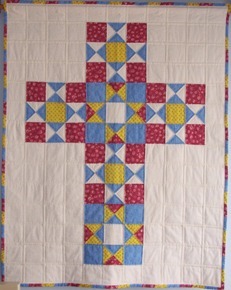 After gutting the building, local craftsmen donated their labor to rewire and add the necessary plumbing to the former hardware store, and community volunteers painted and hung a multicolored quilt featuring a cross in the waiting room. Over the years the clinic served 2,800 patients, and usually 40 patients crowd the waiting room each Thursday when it opens. Many are small farmers, farm workers, minimum wage working parents, and Amish who number about 65-70 families in the area. Frequently their conditions are chronic: diabetes, obesity, hypertension, and high cholesterol. Deacon Bill thinks the remedy in many cases is more relational than pharmaceutical. “Healthiness is wholeness,” he says, so he counsels his patients, then gently encourages them into a lifestyle change. In 2010 two investment brokers from Wall Street asked for a tour to assess the future effects of the Affordable Care Act on rural health needs. After three days of driving, one said he originally thought we would meet with state health officials, heads of hospitals and county agents. Instead, we went to free clinics, drug counselors and homes of Medicaid recipients. We talked about bad roads and unreliable transportation to meet appointments. We discussed the trade-offs between getting medications versus buying food. And we discovered the lack of coordination between health professionals for a patient’s well-being. “Meeting an elderly woman who was on 13 medicines, many of which are not appropriate for her … is ridiculous … All the people involved still feed off her coming for visits, getting prescriptions, and staying sick,” lamented one Wall Street broker, realizing how predatory the health system had become. With that, we started our one hour trip to West Liberty. On March 2, 2012, an EF3 tornado hit West Liberty, KY, devastating the town. Seven people died, and practically the entire commercial district was wiped out. Because so many residential properties were impacted, people moved away, and the town lost 30 percent of its tax base overnight. “I’m not anti-coal,” said Mayor Mark Walter, while outside coal trucks loaded with 80 tons Jake brake to a stop light. The town’s budget depends partly on coal severance tax, but Mayor Walter realizes the current situation represents “an opportunity to introduce” sustainable practices. After the initial cleanup, town officials began collecting community ideas and strategies, then invited non-profits, state and federal agencies to imagine a “Rebuilding West Liberty.” A committee looked at Joplin, MO, and Greensburg, KS, towns that had also suffered tornadoes and recovered. Within nine months, the West Liberty folks boasted a strategic plan that focused on sustainability. It emphasized eco tourism, a downtown free wi-fi hub, geothermal construction, and compressed natural gas transportation filling stations. Four homes being built around town will showcase cheap utility bills based on solar and geothermal sources, and even the bank opposite City Hall is rebuilding geothermal, evidenced by the construction work of deep trenches and pipes stretching nearly half a city block. Ironically, tornadoes or other natural disasters are occasioning the “greening” of small towns, because a tragedy draws federal, state and private funds necessary to envision a new future based on sustainability, which is the only realistic approach for economic development in small towns. Our next stop: a garden project. Years ago a garden with tomatoes, beans, squash, potatoes, cabbage and corn grew adjacent to most rural homes in the mountains. Spring greens and summer vegetables stretched family budgets while supplying nutritious food for a healthy lifestyle. Enter fast food with cheap calories and convenience foods with high sodium, sugars, and fats, and mountain diets began to change. Kentucky now has an obesity problem. It ranks 5th highest in the country with an obesity rate of 33.2 percent in 2013, up from 25.3 percent in 2004 and 12.7 percent in 1990. In David, KY, St. Vincent Mission sponsors “Grow Appalachia,” an outreach educational and service project of Berea College. A small vegetable garden is planted near the main building as a demonstration that healthy food can grow intensively in limited spaces. The project aims at reducing hunger in the mountains by encouraging people to grow their own food. It furnishes seeds, plants and other supplies to home gardeners, and offers classes about food production and preservation. The program’s growing success is measurable: in 2014, project gardeners harvested 37,621 pounds of food! The program encourages starting early and ending late. “Probably about 9 months of the year you can harvest crops,” says Sr. K.C., referring to the use of low tunnels to cover greens and root vegetables in colder months. Seen in this light, the garden project combined aspects of both economic development and care for the environment. On our next stop when we visited an active strip mine, the participants faced another challenge to environmental awareness. For over 60 years coal has been strip mined in Appalachia by scraping away the ground cover, cutting into the side of a mountain, then scooping up the coal with front-end loaders. 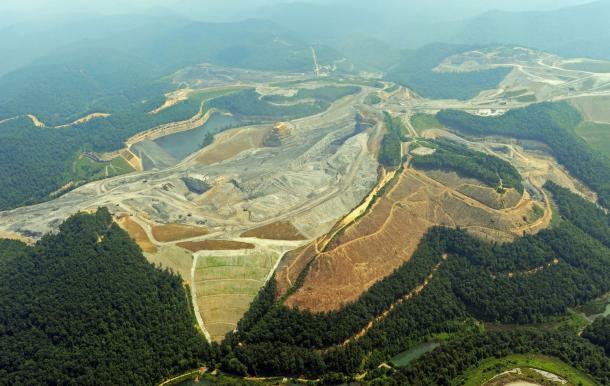 By the mid-1990s, because of advances in technology, companies were able to blow off the summits of mountains to reach a coal seam, perhaps 500 feet below, with a process called mountaintop removal (MTR). Over 500 mountains have been decapitated by MTR, transforming 1.4 million acres of mountain forests, roughly the size of Delaware, into rolling hills. The overburden of the process has buried more than 2,000 miles of streams in Appalachia, and Kentucky alone from both deep mining and MTR must cope with 2,500 miles of polluted creeks and rivers. The blasting associated with MTR has cracked foundations of nearby buildings, and denuding the land exacerbates flooding and causes it more frequently. Numerous studies have found higher health problems around MTR areas from heart, respiratory and kidney diseases, plus various cancers. With such adverse publicity around MTR, visitors are rarely allowed on site. Our pilgrimage gained access because a friend, a retired oil and gas engineer, knew the owner of a company. Just outside Salyersville, KY, 1,200 acres are being mined by MTR. Driving onto the site, visitors see the high wall, the coal pit and massive earth moving machines each costing in excess of $1 million. “This oughta be compared to a construction job,” explains Ronnie, the site supervisor, referring to the disrupted land being stripped. In the distance rolling hills of grass attest to the company’s commitment to “best practices” in doing its reclamation. To reclaim after mining, Ronnie says they usually “put two to three inches of top soil down” before hydro-seeding. The company envisions eventually a large cattle ranch on the site when the mining is completed. The MTR experience introduced participants to the most consequential debate in the coalfields: the forced dichotomy of jobs versus the environment. Except for coal companies, the general consensus around the mountains recognizes coal’s inevitable decline, so enlightened communities, like West Liberty, prudently continue planning for “life after coal.” Indeed, that next phase, whatever it becomes, is the future of economic development in the mountains. “He helped me see how an African-American preacher in a former mining town can also be such an important part of the tapestry of Appalachia,” she wrote. This article originally appeared in the April 2015 issue of US Catholic.